Battery life has always been a pain for smartphone users. Over the years, manufacturers have hilariously adopted thinned designs, compromising the size of the battery. The fact that phones are getting more power hungry is not helping either. To relieve this problem, Oukitel – a Chinese company, has unveiled a smartphone with a massive 10,000 mAh battery! The Oukitel K10000 is not the first big battery device from the company, Oukitel in September released a 4,000mAh smartphone followed by a 6,000mAh smartphone in October. Oukitel claims the device will last between 10-15 days however I will believe that only after I see the product in action. Aside from the battery, the rest of the specifications are mediocre. The K10000 has a 5.5 inch 720p display, quad-core 64-bit 1GHz MediaTek MT6735 processor and 2GB of RAM with support for 4G LTE. The main camera is an 8 megapixel unit and the front camera is a 2 megapixel unit.The design of the device is actually different compared to most current smartphones and looks pretty cool. The gigantic battery takes about 3.5 hours to charge completely and can also be used to charge other devices. To put things to perspective, the K10000 can fully charge three iPhone 6 Pluses and still have 10% battery left. The Oukitel K10000 is available for global pre-order at $239.99 and the device will ship by January 2nd, 2016. 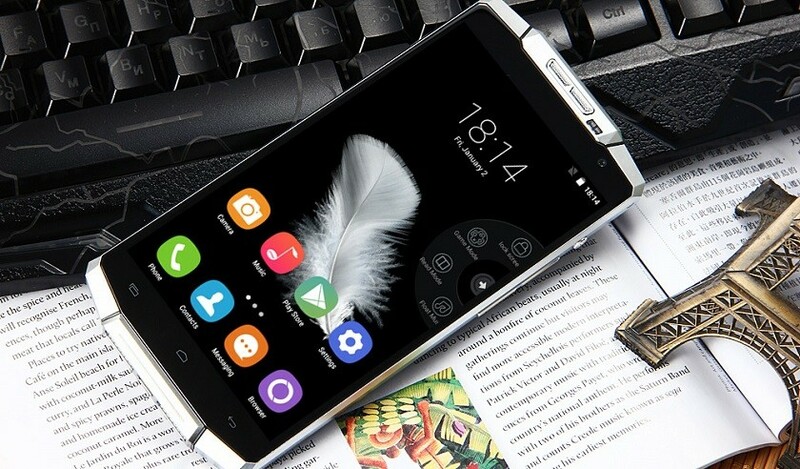 What do you think about the Oukitel K10000? Is this the best solution to our battery woes? Sound off in the comments below!